2 Jan : The death of a medical student due to ragging and BJP’s ‘chintan baithak’ in which the party summarily expelled its senior leader Jaswant Singh drew the nation’s attention towards Himachal Pradesh in 2009. The death of first-year MBBS student Aman Kachroo of Dr Rajendra Prasad Government Medical College, Tanda in Kangra district on 8th March due to severe injuries suffered during ragging by four of his seniors kept the state in the news for most part of the year. A few more incidents of ragging surfaced in Lawrence-based Sanawar school, St Edwards School, HP, an Ayurvedic college in Solan and a government college in Bilaspur. In the eye of a storm over the sorry incidents, the Himachal Pradesh government first promulgated a tough anti-ragging ordinance with stringent provisions and later replaced it with an Act passed in the state assembly in August. On the political front, the state came into news during BJP’s three-day ‘chintan baithak’ (introspection) from 19th -21st August in Shimla. The beginning of the meeting was marked with expulsion of its senior leader Jaswant Singh from the party for his comments in his book “Jinnah-India, Partition, Independence”. Singh, 71, hit back at the BJP leadership for throwing him out of the party for no good reason. The state took a pioneering step in hosting a meet of Himalayan states of Jammu and Kashmir, Uttarakhand, Arunachal Pradesh and Sikkim on climate change and forestry. At the end of two-day conclave of chief ministers from these states on 30th October, Union Environment Minister Jairam Ramesh as part of ‘Shimla declaration’ announced ‘green bonus’ to states working efficiently for environment protection. On home front, the BJP government in Himachal Pradesh received a shot in its arm with an impressive performance in Lok Sabha elections and then capturing the Congress fort of Rohroo in the assembly by-poll held on 7th November. 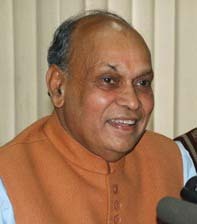 Winning three out of the four Lok Sabha seats strengthened the BJP in the hill state and also raised stature of Chief Minister Prem Kumar Dhumal. While 2009 proved fruitful for BJP, it was marked by “infighting” in the state Congress. by-elections to Rohroo in Shimla and Jawali in Kangra and elections of Mayor and Deputy Mayor of Shimla Municipal Corporation in December. Singh, five-time chief minister of the state, was at the receiving end with nine of his close supporters slapped with show cause for Congress defeat at Rohroo and expulsion of his close aide Harish Janartha for beating official candidate Sudhir Chaudhary for SMC deputy Mayor post. Singh also faced trouble with the state vigilance and anti-corruption bureau registering an FIR against him and his former MP wife Pratibha Singh in an old graft case. As far as accidents and crimes were concerned, the state saw over 850 deaths in road accidents during the year. Recognising that ‘human errors’ accounted for majority of the road mishaps, the state government took some strong preventive steps like banning use of mobile phone and playing music system while driving. The state also witnessed death of 15 people, mostly labourers from Jharkhand, on 20th November while trying to walk through snow-capped Rohtang pass. Untimely snowfall in Lahaul and Spiti left people stranded in the high altitude district also known as ‘cold desert’. In November following sustained efforts of state police, auction of a stolen George cross medal awarded to a Himachal-born soldier Kirpa Ram was stalled at London. Tourism got a boost with restart of Gaiety theatre in Shimla on 25th June where noted artistes like Rudyard Kipling, K L Saigal and Prithviraj Kapoor had performed in the past. Winter session of assembly in December at Dharamsala passed resolution for extending industrial package (ending in coming March) till 2020 and urged the Centre to file supplementary affidavit in Supreme Court to reverse its stand against 12 per cent free power from Bhakra and Beas projects.